Home » Article » What is PCB Panelization | What are the Benefits of PCB Panelization? What is PCB Panelization | What are the Benefits of PCB Panelization? The purpose behind PCB Panelization is to keep together the printed circuit boards during manufacturing, shipping, and assembly processes. The role of PCB Panelization is not only to secure the boards but to also make sure that the separation of boards is as simple as possible. A PCB Designer, while designing a printed circuit board, has to keep the Panelization process in mind and requires to follow certain guidelines. The board should be designed in such a way that a maximum number of boards can be produced at once from the standard production panel of the manufacturer. A designer has to provide enough component clearance on the edges of the designed PCB to facilitate the Panelization process. Moreover, he/she must ensure that sensitive components are not present on the edges and components or other connectors are not hanging over an edge. Based on these factors only the Panelization breakout method is selected. Hence, if a board is not designed by keeping these factors in mind it will highly limit the Panelization breakout methods that can be used. Also, a PCB designer is expected to mention the assembly requirements of a particular PCB during the design phase itself in order to ensure that all the needs and requirements of the client are met. Many PCB design software is present in the market that helps to ensure that the PCB is designed in accordance with the Panelization process. 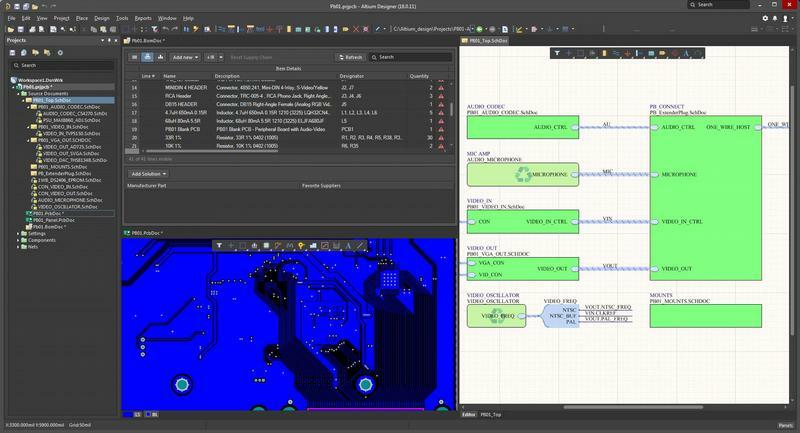 However, the best out of all software is the Altium PCB Panelization Software which includes support for cutting-edge grid-flex board design and has advanced routing technology inbuilt to enable the designer to test accurately and efficiently the printed circuit board designed by him/her. PCB Panelization ensures that each of the printed circuit board manufactured is uniform. If a particular board doesn’t exhibit uniformity; it means that it doesn’t meet the requirements of the application for which it is intended. Hence, the same is discarded during the PCB Panelization process. This helps to make sure that a printed circuit board with proper dimensions reaches the final application. Day-by-day due to consumer demands and the stress on portability and light-weight products; the printed circuit boards are growing smaller in size and are providing much complex functionality than their bigger size counterparts. Due to the small size of circuit boards, several modifications are required to be done to the production process and a number of issues arise. PCB manufacturers have a fixed size panel for manufacturing a printed circuit board and they cannot decrease its size beyond a certain limit. In such cases, PCB Panelization helps to keep the smaller boards together and secured to each other over the larger panel. Hence, the Panelization process helps to significantly increase throughput as the manufacturer is able to maintain its standard panel dimensions. With efficient PCB Panelization, a PCB manufacturer doesn’t have to bring in new fixtures and equipment for handling the printed circuit boards. They can efficiently use the existing fixtures and equipment. It is needless to say here that this helps in reduction of the overall cost of the printed circuit board and also helps the cost of production to say within the budget and the estimated range. While routing, smaller the printed circuit board is, more chances are there for it to be removed. This is because the pressure utilized by the router’s vacuum is pretty high and small-sized printed circuit boards cannot handle the same. Hence, PCB Panelization comes into play here. By securing and keeping together the smaller sized boards; it ensures that the routing procedure is followed accurately and effectively. PCB Panelization allows the manufacturer to get the volume of boards which is sufficient to handle the pressure used by the router’s vacuum, effortlessly. It is understandable now that without efficient PCB Panelization process; it is impossible to manufacture a printed circuit board which meets all the needs and expectations of the client. Therefore, it is very important to take PCB Panelization seriously during the documentation and design phase itself.